The connectedness of Thailand and its relation to the marketplace is what first attracted me to this subject matter. Before I explain the connections, which I have observed, I want to first provide you with historical context that stresses the importance of these market hubs. As a direct result of the Asian financial crisis in 1997, Thailand experienced one of it largest economic downfalls. Within months the Thai baht value abruptly increased from THB25/USD to THB56/USD and unemployment rates nearly tripled. With thousands left unemployed, and having nowhere to turn they could only hold on to the traditions that would one day save them. The culture and lifestyle in Thailand is one, which is heavily influenced by tradition. Markets have been up and running in this region of the world for hundreds of years and are considered a traditional aspect of life. With the newly unemployed unable to find new forms of work the marketplace became a business venture sought out by many. Individuals turned to traditional ways of life such as farming and craftsmanship in order to make some cash. Others would sell excess items, which they acquired during their times of flourishment, making second hand items a common sight in the marketplace. Some took these ventures to a business level making deals with local farmers to help sell their products by buying in bulk. With people working together and more products being produced the market place transformed into a center of affordable essentials. As time pressed on and people began to make money the utilization of Bangkok’s cheap imports and wholesale ordering became popular among many. 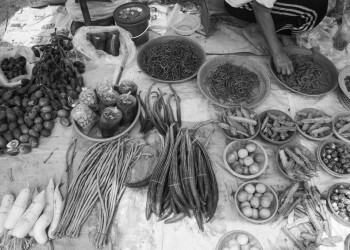 Vendors became thirsty for more moneymaking opportunities and the marketplace made its way into every aspects of Thai culture. Vendors can be found lining streets during holidays, tucked away next to temples, and moving daily to adhere to the peoples needs. The people need the market place just as much as the marketplace needs the people. This is the connectedness, which drew me in and allowed me to understand the meaning of the human experience. Coming from a world where everything is said to be “dog eat dog”, I was in aw of the context that displayed such humility and community during a time when things seemed nearly impossible. These markets are a reflection of rebirth and I so desperately wanted showcase every aspect of their empowering significance. 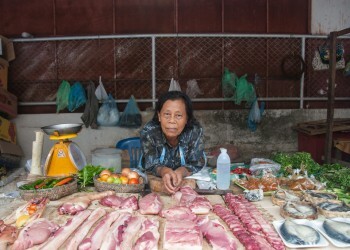 Markets are a vital component of daily life in Thailand. They are a hub of convenience and necessity utilized by many. Though some are stationary, markets move locations throughout the week making them easily accessible for people living in different areas. Constantly changing locations allows for market vendors to sell different products depending on where they are. This catering to peoples needs, depending on location, insures that vendors will make money by taking note of what grows locally and what is lacking. Throughout the day markets are constantly opening, closing, and re opening insuring that the products found there are always fresh. Morning markets open for set up as early as 3:30 and are followed by mid day markets, which are then followed by evening markets. The flexibility of the market place allows for vendors to sell the products of their choice and work based on their own schedule. Here a women sits with her products at a mid day market in Pak Phanang. Her table includes a variety of products, which range from produce to meats. Raw meats, stacked atop a tarp-protected table, are cleaned and ready for vending. 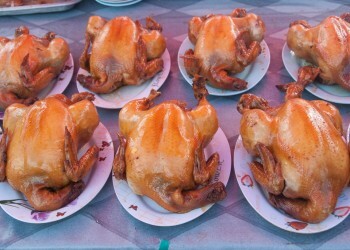 Beef, pork, duck, and poultry are some of the more popular meat options that are sold in the Thai marketplace. These meats can be bought raw, sliced, cooked, or completely in tacked and vendors can acquire their meats in a number of ways. Some choose to bring their own livestock to locally operated slaughterhouses while others choose to utilize large slaughter and distribution corporations. 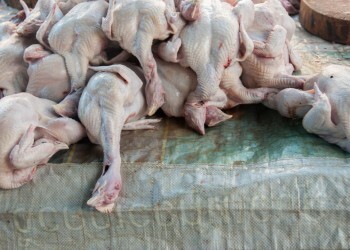 Betagro is a popular poultry corporation among many who sell raw meats in the market place. Betagro is especially popular due to its convenience and low prices. Once a stall operator has placed his or her order, Betagro poultry can be delivered moments before markets open or can be picked up on the same day the meats are to be sold. The high quantity of meat a merchant can purchase for a reasonable price allows for these stall owners to sell at a higher price and make a profit. The convenience of the market place allows for locals to find a variety of products that are already prepared and ready for consumption. Aside from cooked meats one can find soups, noodles, rice, candies, pastries, veggies, and fried foods all ready to be bought and eaten on the spot. It is not uncommon to find and pick up breakfast, lunch, or dinner when visiting the marketplace. With the Southern most part of Thailand being comprised of mostly coasts it is no surprise that the fishing industry has a large presence in this area. 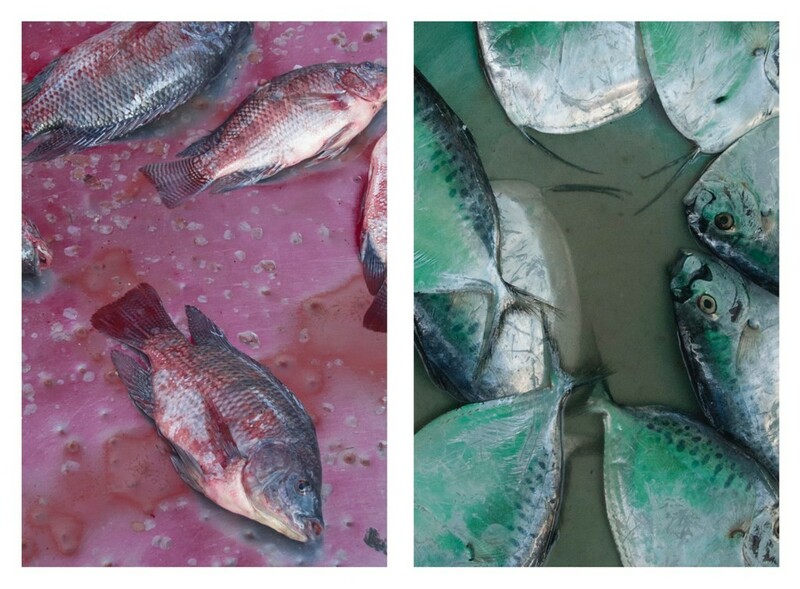 Vendors can visit ports and distribution centers, which catch and sort fish, to pick up their products before heading to the market. 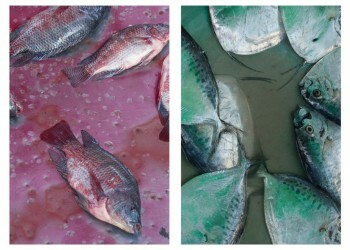 Many of the fish found in markets are sold alive and gutted once purchased. 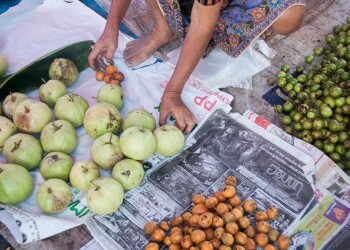 A woman, who has arrived late to the marketplace, rushes to group and organize her produce. Like many she grows what she sells, but growing your own produce is not the only way in which one can obtain and sell fruits and veggies. Vendors can arrive to large corporate farms, before heading to the market, to pick up fresh produce. These corporate farms will also sell their products at large central markets to vendors who buy in large quantities and later sell these items at smaller local markets. There are many self-sustainable communities that surround Thasala and play an important part in the marketplace business. These communities live off the land and utilize an abundance of natural resources allowing them to live on little to no income. Once they have consumed all that they need to survive, they will then sell their extra produce to vendors to make some extra cash. Many vendors will not limit themselves to one form of acquiring their products. Some will get certain goods from local farms and visit larger markets for the rest of what they need. Others will grow everything they sell while certain vendors only utilize corporate businesses. Every vendor has a different process in how they acquire their goods and each process is unique to each individual. There are many essential tools that are needed and regularly used when selling products at the marketplace. 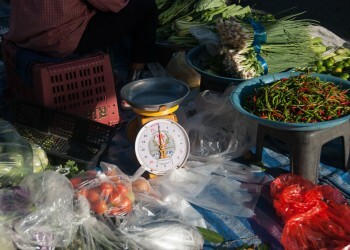 Aside from knives, bags, and sanitary tarps, scales are an important component used in measuring out produce and meats. Products are sold per kilo and customers can cut a good deal by buying items at a higher weight. For example, patrons can buy one kilogram of mangosteens for 25 baht or two kilograms of mangosteens for 45 baht, saving a total of 5 baht. 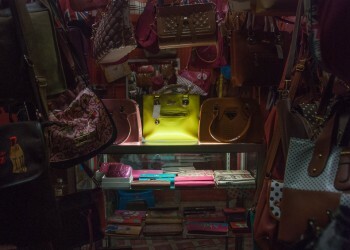 The use of clear bags, which come in many sizes and are filled with a variety of products, are commonly used in markets. These bags are a cheap and easy way to package ones products and allow for customers to buy food that are already prepared and portioned. These can contain a wide rage of products from soups and spices, to meals and ingredients. 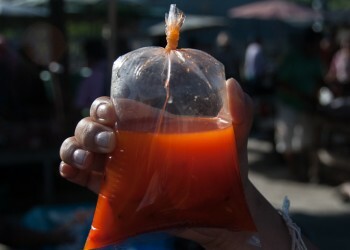 Here a bag of spicy liquid, which is usually added to soups, it being examined by a potential buyer who is considering whether to buy the larger or smaller portion. Outdoor markets collide with indoor spaces providing an enclosed area for vendors to sell an array of items. 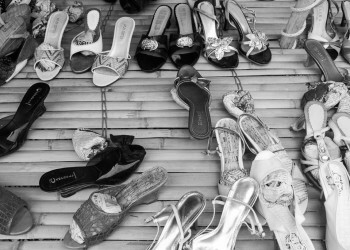 Markets are not only limited to meats and produce, but also serve as a place for individuals to find garments, accessories, toys and house hold items. Though not every market has enclosed areas these spaces are usually home to these everyday products. When shopping for clothes and accessories the amount knock-off items in no way goes unnoticed. These items are a direct reflection of Thailand’s obsession with westernized ideals of beauty and dress. Many of these products are manufactured in Vietnam and China and are then shipped to Bangkok to be distributed throughout Thailand. In inner city Nakon Si Thammart there are wholesale markets, which are mainly utilized by local market vendors. Here individuals can shop as well as buy products by the dozen for reselling in smaller markets. Vendors can arrive and pick up large amounts of wholesale products or they can make special orders, to ship directly from Bangkok, through these Businesses. Here, a wholesale vendor enjoys lunch while placing orders from her iPad. Before the economic downfall in 1997 people were earning and spending high amounts. Once the economy went south many were left with no income and large amounts of unnecessary material items. It was at this time that second hand items became prevalent in the marketplace having even more of a presence than new un-used items. People would either sell their items to be resold in markets or they would take on the business venture of becoming a vendor. One can buy used hats and shoes for 20 baht as well as used t-shirts and skirts for 30 baht. With people making less money selling these cheap garments allow for vendors to still make some cash during a time when budgets are tight. 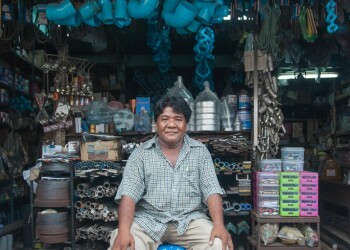 Nattapong Srisawat sits outside of his home goods shop in Pak Phanang. His business venture first began in the market place just around the corner and stemmed from his love for home repairs and projects. Within his shop one can find a large array of items such as pipes and light bulbs to wires and toolboxes. 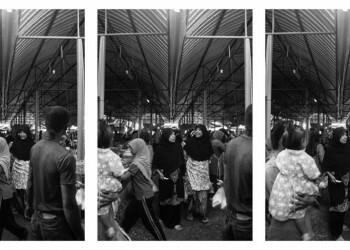 Ramadan markets, though not much different from most markets, cater specifically to the needs of the Muslim community. One can sense they have entered a Rhamadan market by the significant shift in dress code. Shorts, skirts, and short sleeved tops, which one would typically find someone wearing in a regular market, are replaced with elaborate full length dresses and detailed hijabs. 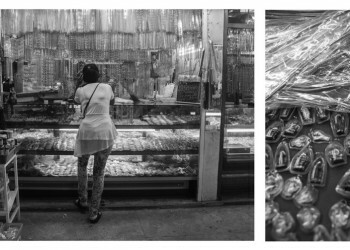 Hijabs and modest garments can be found in the shops surrounding the Ramadan market. It is typical in Islamic tradition for a woman to cover herself to a certain standard of modesty usually exposing only her hands and face. A Muslim woman, who is following guidance from God and His only prophet Mohammed, feel compelled to honor the teachings of the Qur’an. The Qur’an states that it is not wise for a woman to receive unnecessary attention from people, specifically males, once they have hit puberty. Ramadan, one of the five pillars of faith, is the holiest period of the Islamic year, marking the ninth month of the lunar Calendar. The rules of Ramadan are simple, all practicing Muslims are forbidden to eat from sun up to sun down because it is believed that during this month the gates of hell are closed leaving Muslims untouched from the devils temptation. Rhamadan is a period of discipline, charity, and self-control from all sensual pleasures. 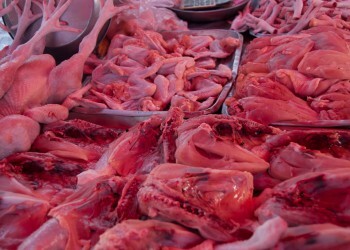 The foods, which are enjoyed during sahur and after iftar, are usually bought in these Rhamadan Markets. 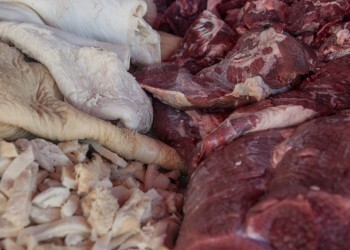 Many of the meats within these markets are halal meaning they are prepared as prescribed by Muslim Law. Muslim Law states that all animals must be healthy at their time of slaughter and must be killed by a cut to the jugular vein and windpipe. The animal’s blood must be completely drained from the carcass and once this is complete a Muslim must recite a shahada, or dedication. In the marketplace, it is not uncommon for stand owners to make their business venture a family affair. The freedom within these markets allows for vendors to make money while tending to their children until they are old enough to help out or open a stall of their own. 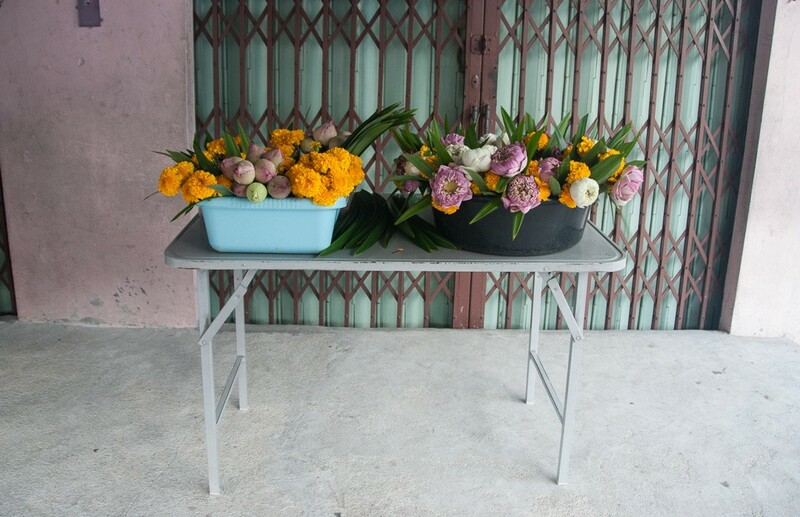 Here, a family arranges flowers for locals to buy and later offer to monks in order to make merit. During holidays and traditional events business in the market place is more likely to be slow while crowds are elsewhere. In order to avoid a low-income periods vendors will hit crowded streets to sell their products. 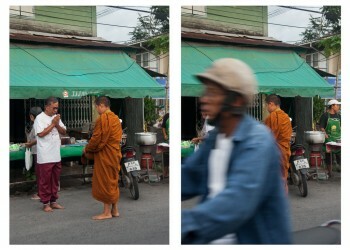 Before sunrise monks wander the streets receiving offerings from locals who are making merit. Merit is a result of good acts and deeds, which one accumulates throughout their life and aides in a person’s spiritual growth. Providing monks with offerings is one of many ways in which a person can make merit. 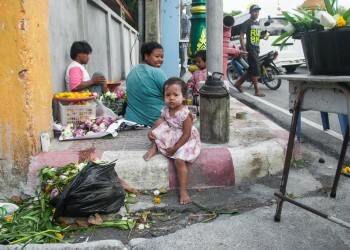 These offerings vary from food to flowers and can be provided by vendors who line the streets. One presents a monk with an offering, carefully places these items in his alms-bowl, and then stands or kneels with hands in wai to receive a blessing. During Asalha Puja, ordinations, and other religious holidays the number of vendors near temples and watts significantly increases. These stalls provide locals with a quick bite to eat as well as flowers and candles for traditional ceremonies and offerings. Asalha Puja is a Theravada Buddhist festival, which always takes place on a full moon in July; the 8th lunar month. It celebrates the Buddha’s first sermon making it one of Buddhism’s most significant festivities. Through out the day hundreds of people gather to walk around the temple grounds a number three times in order to receive good fortune. Before making this venture around the temple one can stop by a vendor to buy a small bushel of flowers, candles, and incents to hold while walking. 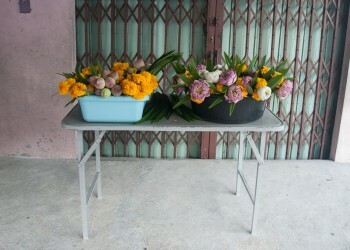 Flowers, in Thai Buddhism, are a way to pay homage to the image of Buddha. Wat Phra Mahathat Woramahhawaihan, in Nakon Si Thammarat, is the main Buddhist temple in Southern Thailands largest province. Because of its popularity and large crowds there is no surprise in finding that there is a marketplace just left of the temple grounds. This market, compared to most, has an abundance of religious affiliated products. Popular products within this marketplace include jewelry, statues, posters, and t-shirts, which usually include religious images of the Lord Buddah and celebrated monks. Around 5am on August first, vendors make their way onto Walailak University to begin preparation for large graduation crowds. The items, which are sold during graduation, are specifically catered to the event itself. The hundreds of families attending are easily given the opportunity to shower their graduates with gifts being sold by vendors. Flowers, dolls, balloons, and crowns line the walkways and stretch across a good portion of campus, and are given to gradate to congratulate their achievements. All work Copyrighted © 2015 by the project photographers. Please contact for use and reproduction rights.